From Spitalfields, you have only to walk down Bishopsgate to find yourself in Londinium, since the line of Bishopsgate St follows that of Ermine St which was the major Roman road north from London Bridge. Tombs once lined the path as it approached the City, just as they did along the Appian Way in Rome. 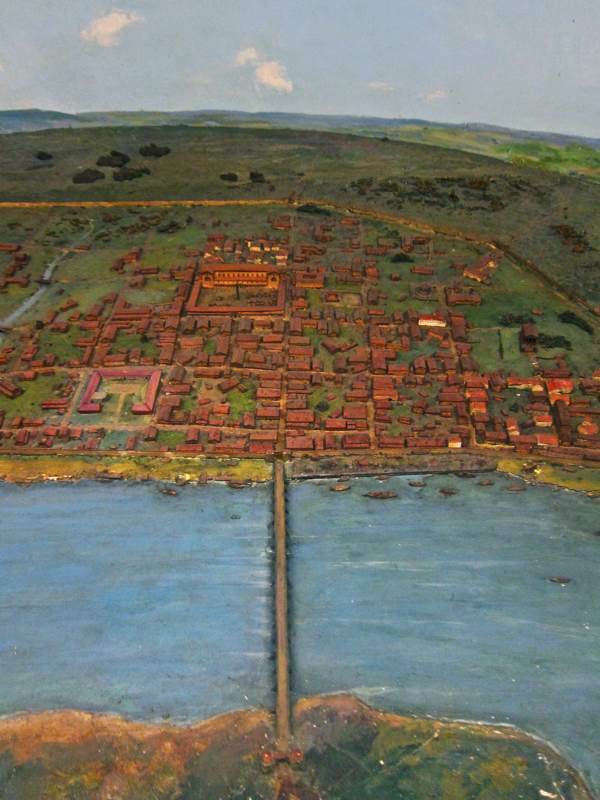 The essential plan of the City of London was laid out by the Romans when they built their wall around Londinium at the end of the second century, after Boudica and her tribes burnt the settlement. 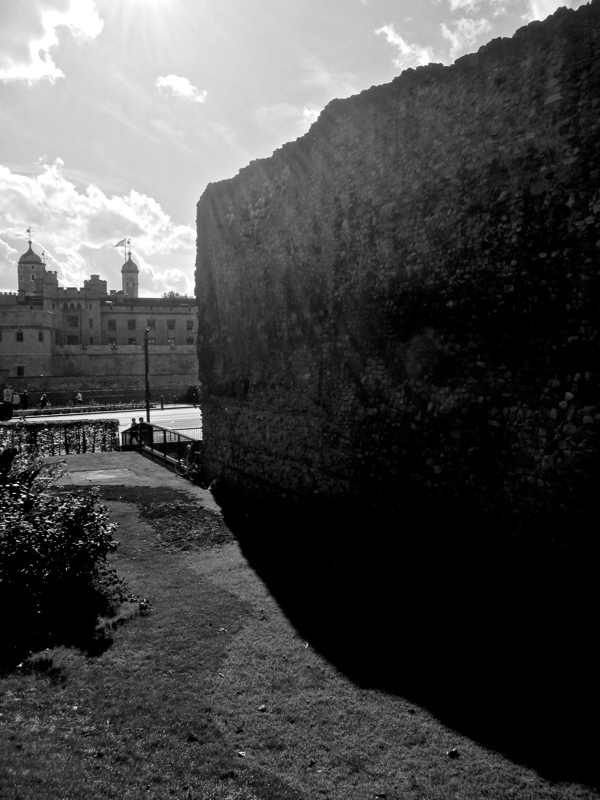 Eighty years earlier, the Romans had constructed a fort where the Barbican stands today and, in their defensive plan, they extended its walls south to the Thames and in an easterly arc that met the river where the Tower of London stands now. 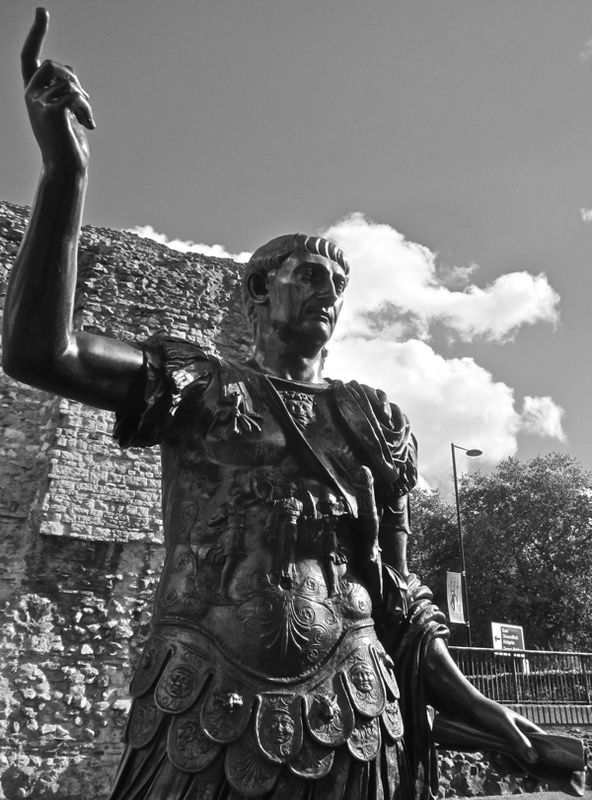 A fine eighteenth century statue of the Emperor Trajan touts to the tourists at Tower Hill, drawing their attention to the impressive stretch of wall that survives there, striped by the characteristic Roman feature of courses of red clay tiles, inserted between layers of shaped Kentish Ragstone to ensure that the wall would be consistently level. Just fifty yards from here at Cooper’s Row, round the back of the Grange City Hotel, is an equally spectacular stretch of wall that is off the tourist trail. Here you can see the marks of former staircases and medieval windows cut through to create a rugged monument of significant height. 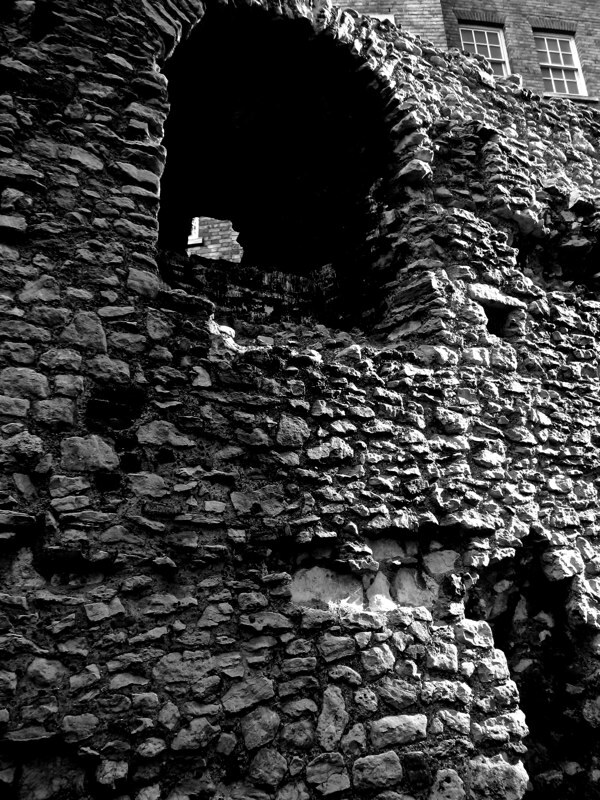 Yet, in the mile between here and the Barbican, very little has survived from the centuries in which stone from the wall was pillaged for other buildings. It is possible to seek access to some corporate premises with lone fragments marooned in the basement, but instead I decided to walk over to All Hallows by the Tower which has a little museum of great charisma in its crypt. 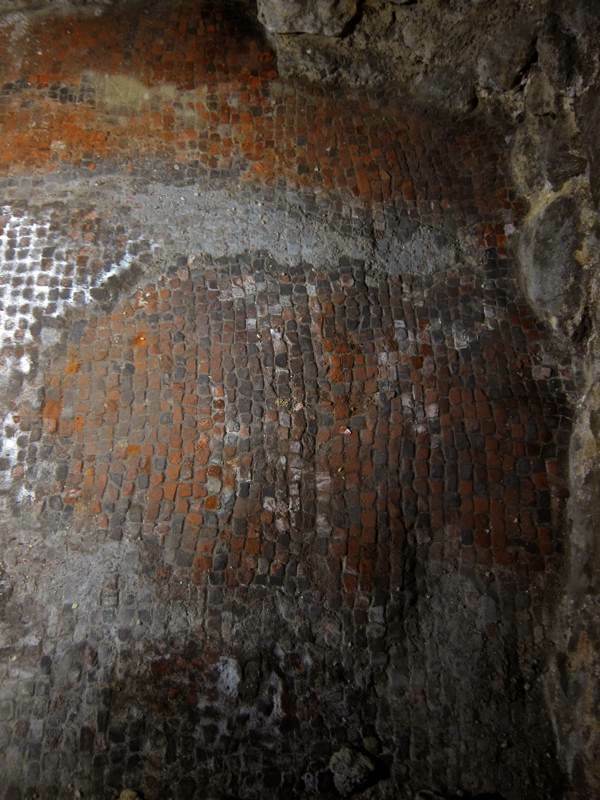 Here is part of the tessellated floor of a Roman dwelling of the second century and Captain Lowther’s splendid model of Roman London from 1928. 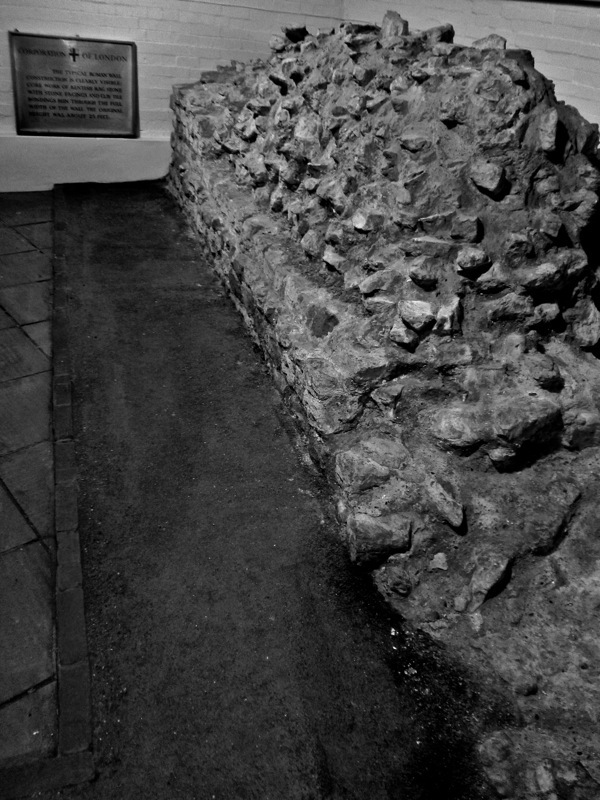 At the Barbican, a stretch of wall that was once part of the Roman fort is visible, punctuated by a string of monumental bastions which are currently under restoration. 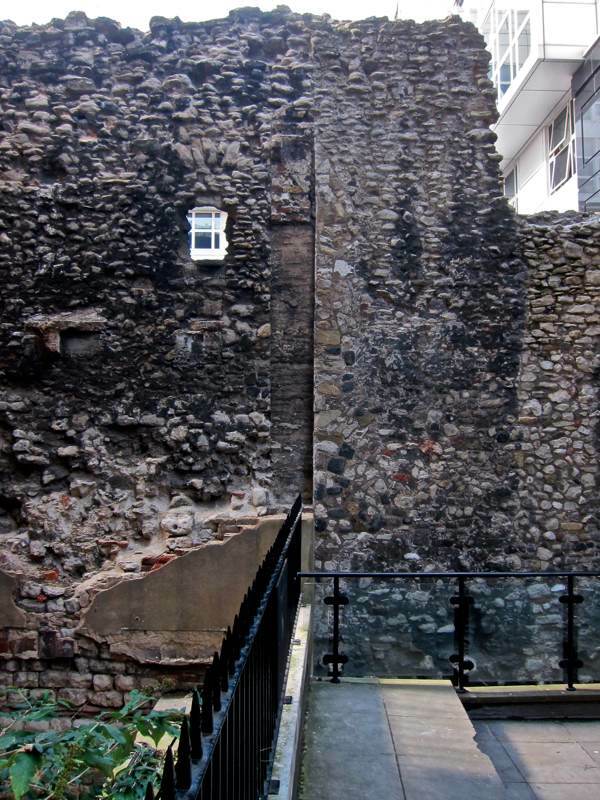 Walking up from St Paul’s, you come across the wall in Noble St first, still encrusted with the bricks of the buildings within which it was once embedded. Then you arrive at London Wall, an avenue of gleaming towers lining a windy boulevard of fast-moving traffic, which takes it name from the ancient edifice. I was lucky enough to be permitted access to a secret concrete bunker, beneath the road surface yet above the level of the underground car park. 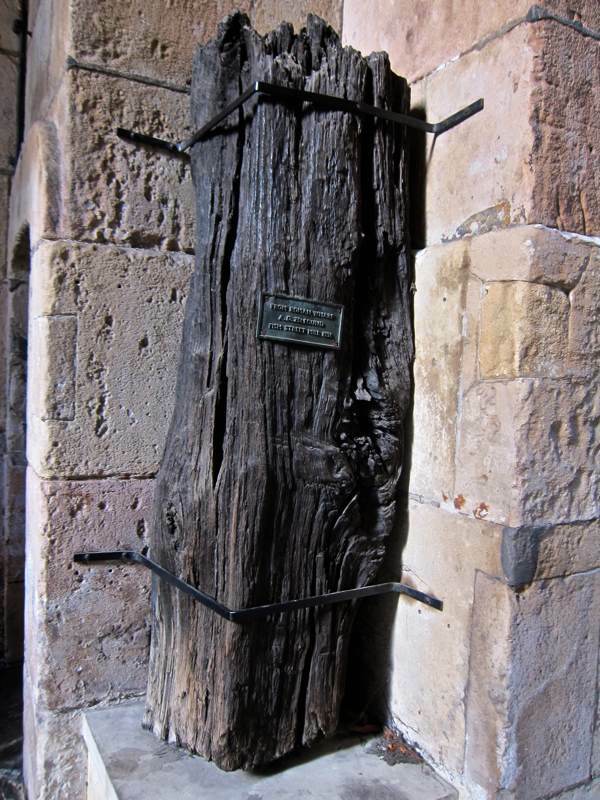 Here was one of the gateways of Roman London and I saw where the wooden gate posts had worn grooves into the stone that supported them. At last, I could enter Roman London. 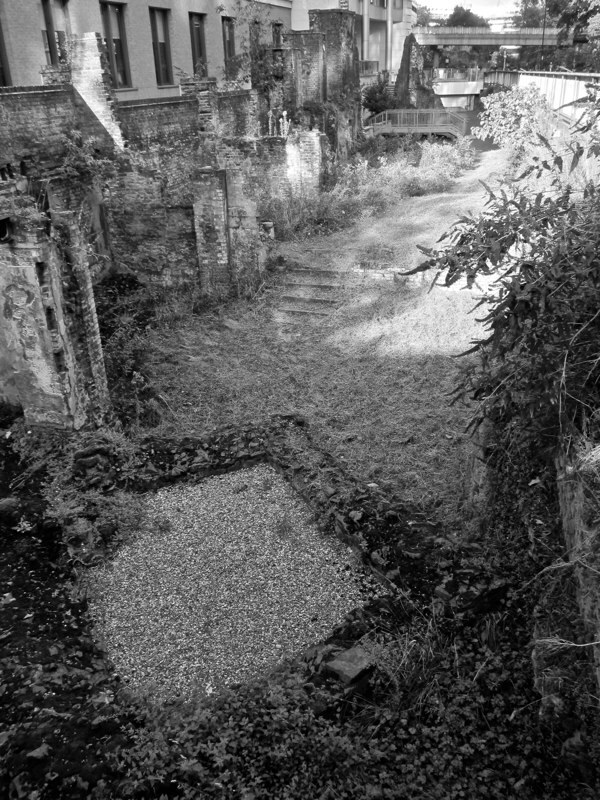 In that underground room, I walked across the few metres of gravel chips that now cover the ground level of the former roadway between the gate posts, where the chariots passed through. Long ago, I should have been trampled by the traffic if I had stood there, just as I should be mown down if I stood in London Wall today. We switched out the light and locked the door on Roman London to emerge into the daylight again. 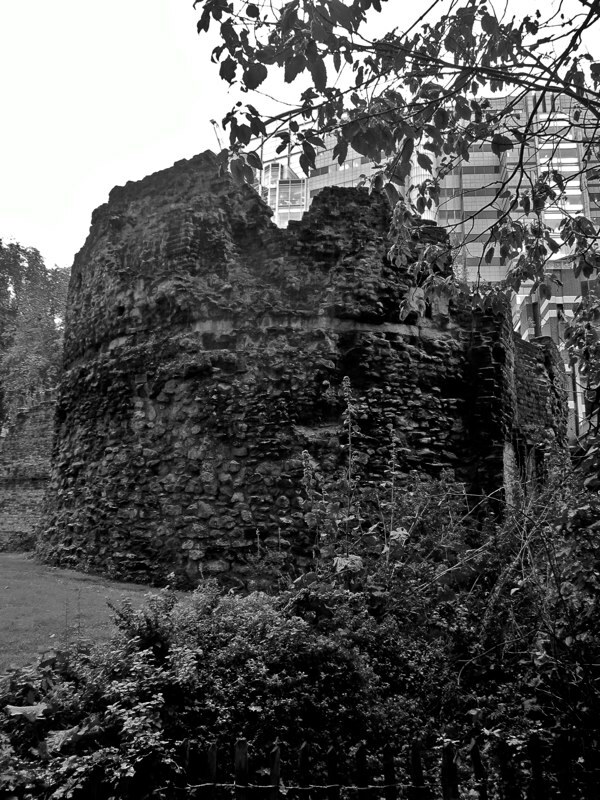 In the gardens of the Barbican, the presence of foliage and grass permits the bastions of the City wall to assert themselves, standing apart from the contemporary built environment that surrounds them. From here, I turned west to visit the cloister of St Vedast in Foster Lane, which has an intriguing panel of a tessellated floor mounted in a frame, and St Bride’s in Fleet St, where deep in the crypt, you can lean over a wall to see the floor of the Roman dwelling that once stood there, reflected in a mirror. The reality of these items stirs the imagination just as their fragmentary nature challenges it to envisage such a remote world. By now, it was late afternoon. I was weary and the sunshine had faded, and it was time to make tracks quickly back to Spitalfields as the sky clouded over – yet I was inspired by my brief Roman holiday in London. 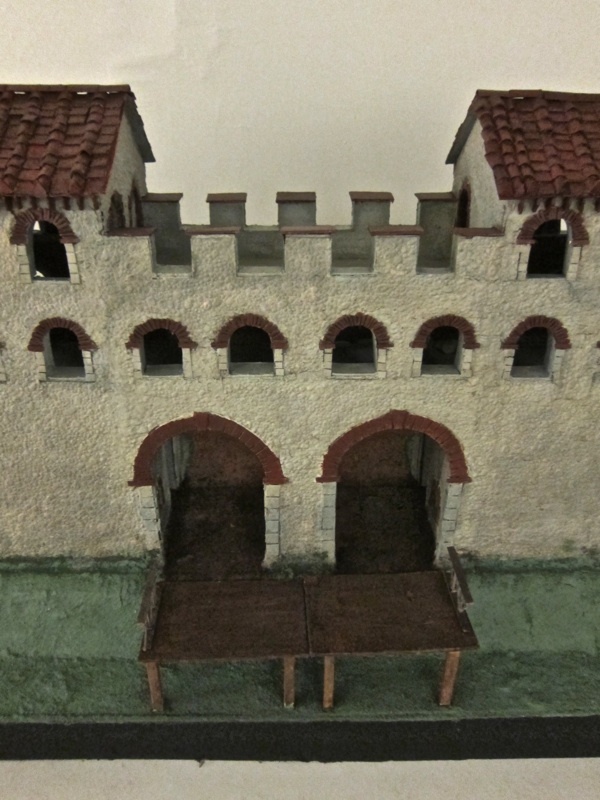 Model of Roman London in the crypt of All Hallows by the Tower. Made by Captain Lowther in 1928, it shows London Bridge AD 400 - Spitalfields appears as a settlement of Britons beyond the wall. “The Old Watling” on Watling Street, with a legionary’s helmet as its sign. Nota Roman building, obviously, but I wonder if there was a “Pub” there then? GA, have you taken at look at the splendid A London Inheritance blog? He has recently done a post on the wall and very fascinating it is too. Also, this summer I spent a day in Zaragosa, in northern Spain. Like London, it was a thriving port. I thought it felt familiar so when I turned the map upside down…lo and behold, it was practically the same size and shape as that of Roman London. They had a large stretch of wall there as well. It’s amazing that any of this has survived the depressing onslaught of building that has virtually destroyed the City of London. 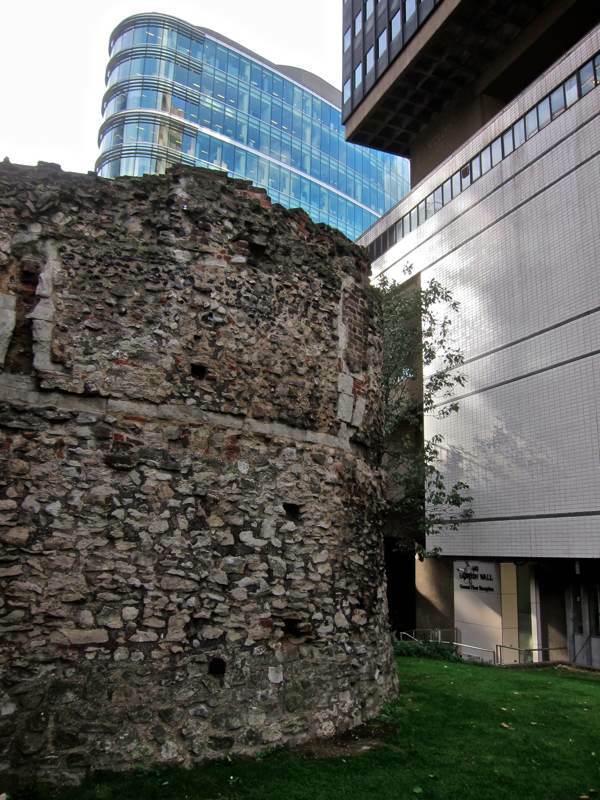 The fragments that stand in London Wall are now covered in plastic sheeting and will be all but invisible beneath the monstrous development now taking place, they only just survived Boris Johnson’s attempt to have them demolished and re-located elsewhere. If ever a man was guilty of barbaric acts of destruction, look no further than the bellowing oaf we now employ as Foreign Secretary. God help us all if he is allowed to continue in this job for much longer. 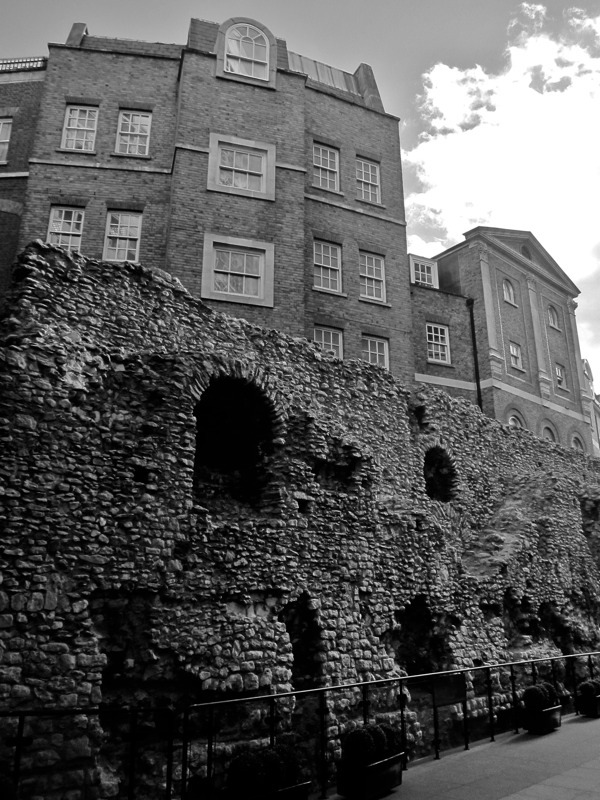 Having worked in the City since 1973 I have looked upon these fragments of old Roman London many, many times and I am always impressed by the scale and technique used to construct them. It’s a pity that so little now remains. 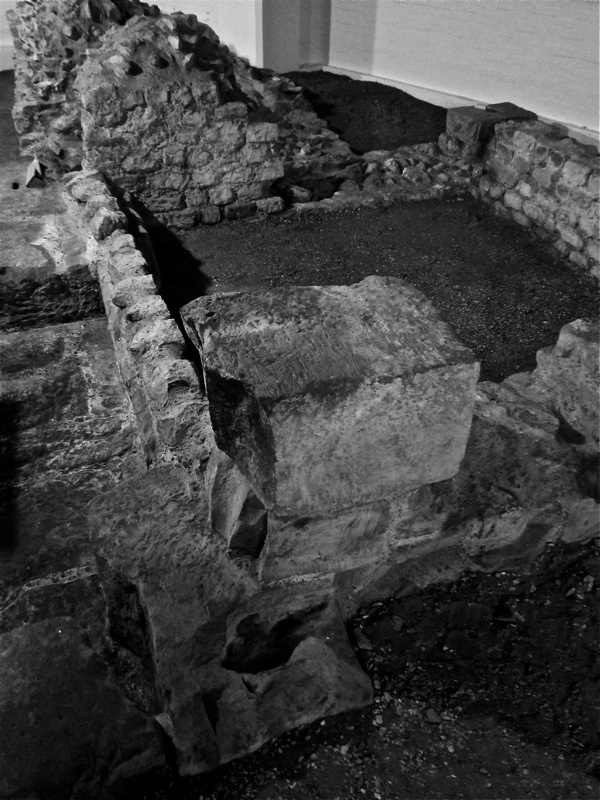 There is also the Roman amphitheatre, which was discovered beneath the Guildhall Art Gallery in 1985 and is open to view free of charge. 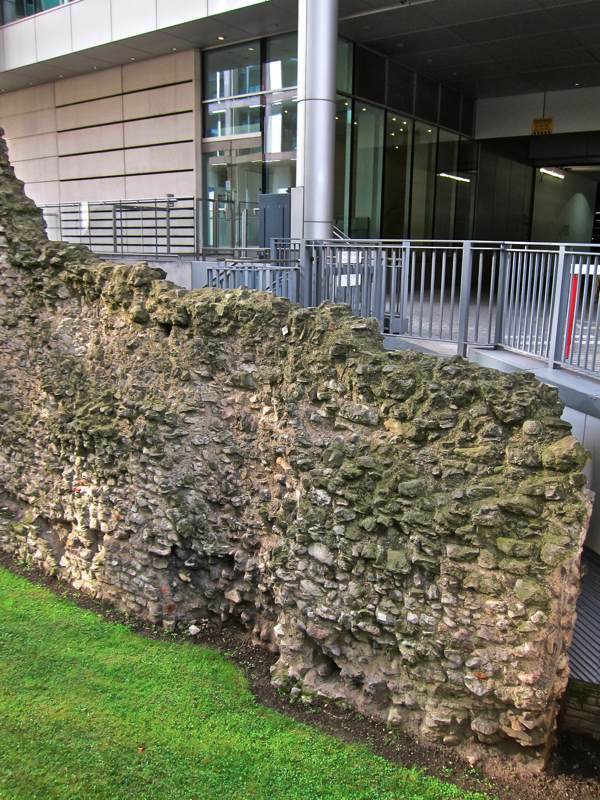 There is probably a great deal more of Roman London buried beneath more modern buildings. The occupation layer of 2000 years ago is many metres below the present ground level and the foundations of much building before the 19th century was too shallow to damage any remains. 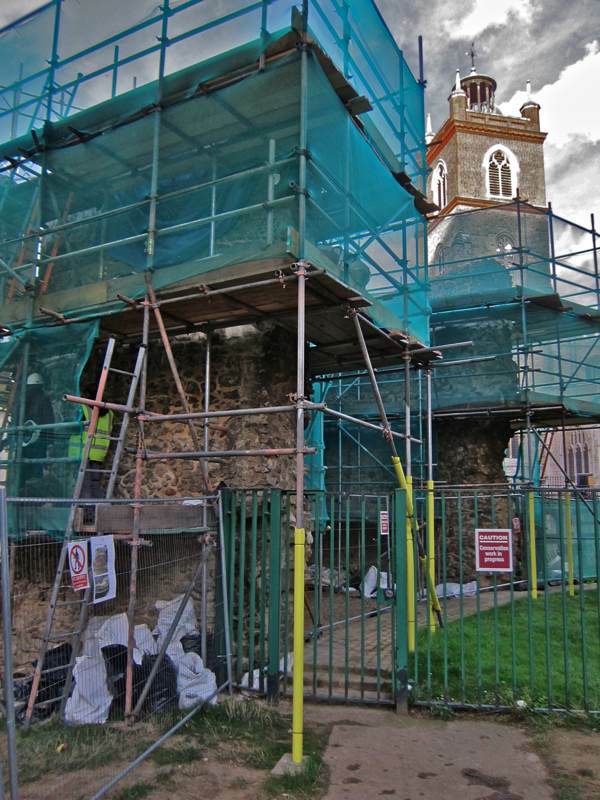 Unfortunately modern buildings with their requirement for deep foundations are far more damaging but rescue archaeology is far more likely to retrieve information than hitherto. But it does depend on developers reporting discoveries – there is little incentive when it means a redevelopment may be held up for months! 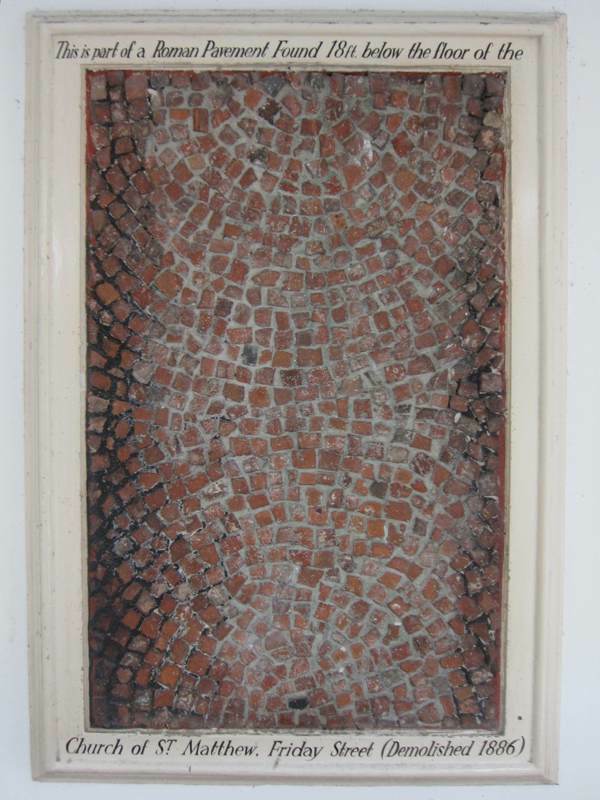 I recall discovering a patch of Roman mosaic tiles in a building I worked in, in Central London. Functional Roman technology in a 20th century locker room: Almost like a time machine. Years ago I bought a gigiantic paper map that laid out Londinium over modern London (or visa versa). Boy, did my feet ache the day I walked around the line of the ancient wall, gazing at the bits that remained, many uncovered during the Blitz, I was told. 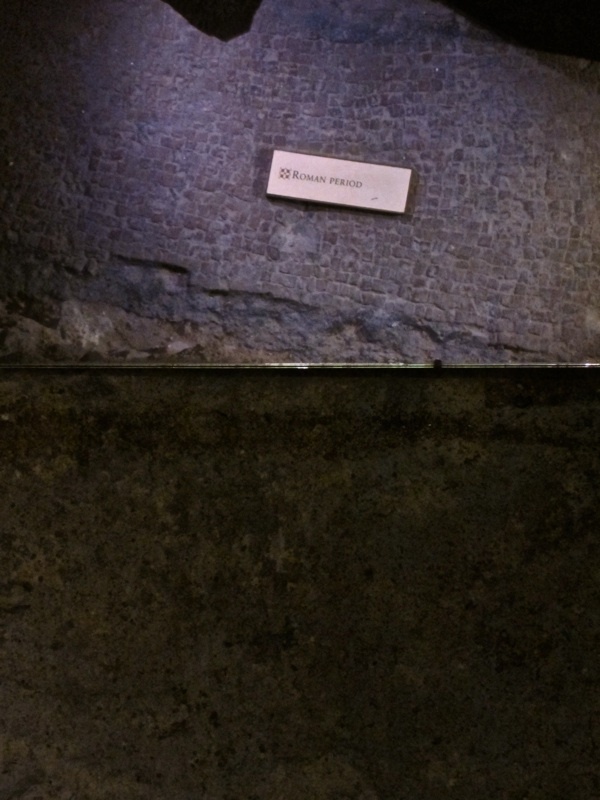 I, too, talked a security staff member into taking me down to see the section hidden under a car park, far below the modern surface of the city. 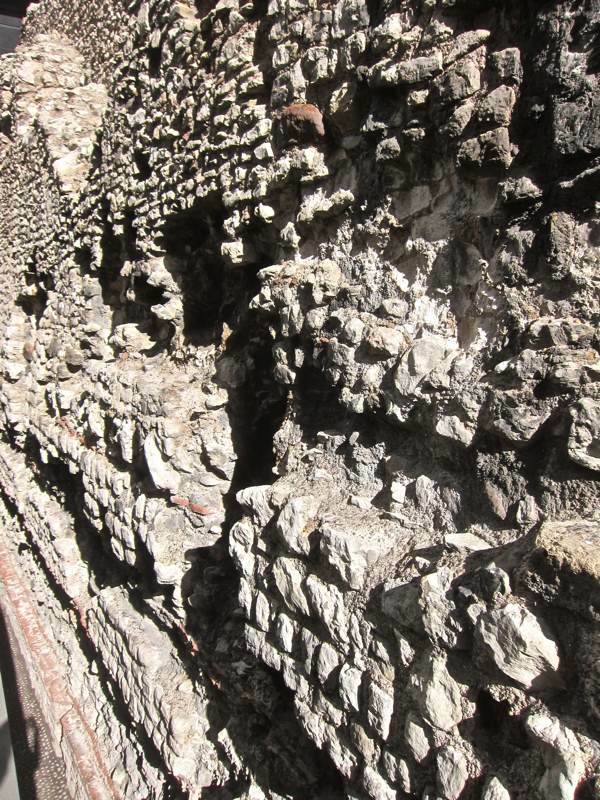 It made me wonder how far down the Roman segments of wall still visible might extend beneath the ground? If I go mudlarking along the Thames again the next time I visit London, I hope I am lucky enough to find a tangible piece of the old walled city of Londinium — a sherd of roof tile that’s Roman rather than medieval or a crumb of Samian ware pottery. That will satisfy me; my knees won’t take walking the wall a second time.